The first book in a new Maine-set mystery series features guns, blood and recipes. My grandmother, a fan of the cozy mystery who had occasion to read Nancy Drew books in her lifetime, once said of the teen sleuth’s loyal sidekick Georgia “George” Fayne, “Just once I want George to be the villain.” While the cozy (and surely the Nancy Drew books qualify) generally affords the reader anxiety-quelling payoffs like a sense of small-town communion, a loose-ends-free resolution and a reprieve from the lurid content semi-guaranteed by traditional detective fiction, my grandmother was pointing out that the subgenre isn’t known for the never-saw-it-coming ending. “Death and a Pot of Chowder,” the first in the projected Maine Murder Mystery series by Cornelia Kidd, a pseudonym for the Pine Tree State mystery writer Lea Wait, could be the poster child for the cozy. As the book opens, unemployed wife and mother Anna Winslow, a resident of the quaint (and fictional) Quarry Island, receives a letter in the mail from an Izzie Jordan. Anna always knew that the man who raised her wasn’t her biological father – that was Peter Jordan, who, as she learns in the letter, had another child after he abandoned Anna’s then-pregnant mother. Izzie, who lives in Connecticut, has contacted Anna to report that Peter has died and that she would like to meet her half sister. 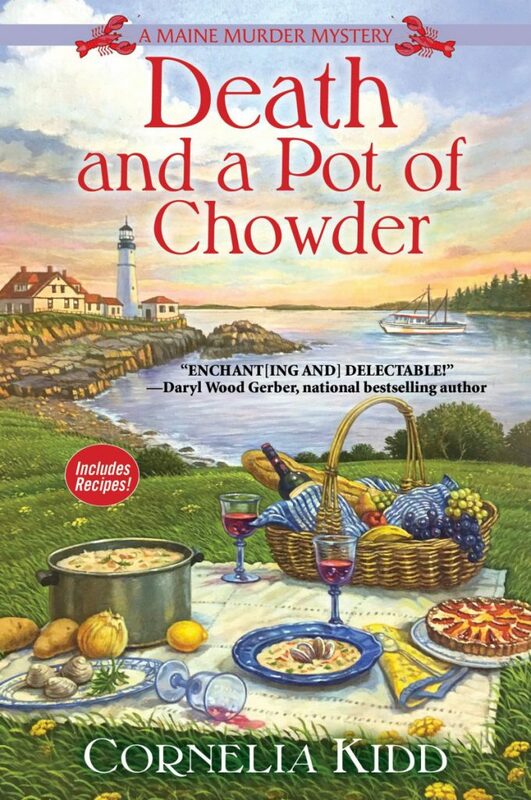 “Death and a Pot of Chowder.” By Cornelia Kidd. Crooked Lane Books. Hardcover. 330 pages. $26.99. In Portland 10 days later, Anna and Izzie are about to enjoy a getting-to-know-you meal at a diner when Anna receives a call from her husband, Burt, saying that his fellow lobsterman brother, Carl, has gone missing from his boat. Anna hurries home, Izzie the tagalong younger sib. Soon the cops arrive at Anna and Burt’s door to tell them that Carl’s body has been found, a presumed drowning, but the next day the medical examiner cries murder. 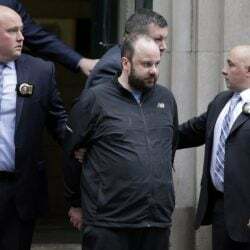 Later, one of the couple’s friends admits that he told a cop he had overheard Burt and Carl arguing the morning Carl went missing, and the police reveal that weapon-wise, Burt’s rifle is the prime suspect. Hell-bent to exonerate her husband, Anna decides to try her hand at cracking the case, and Izzie offers to help – George to Anna’s Nancy Drew. The ending of “Death and a Pot of Chowder” won’t throw many readers for a loop, and Kidd’s writing leans heavily on clichés, but there’s something authentic here about the tension between the Mainer’s presumed provincialism and the urbanite’s perceived snobbery. At one point Izzie says of the folksy decor in Anna’s home, “I didn’t know people still made quilts.” Izzie is a compelling character. I only wish she had been the villain. Nell Beram, coauthor of “Yoko Ono: Collector of Skies,” has recently written for the New York Times Book Review and L’Officiel.